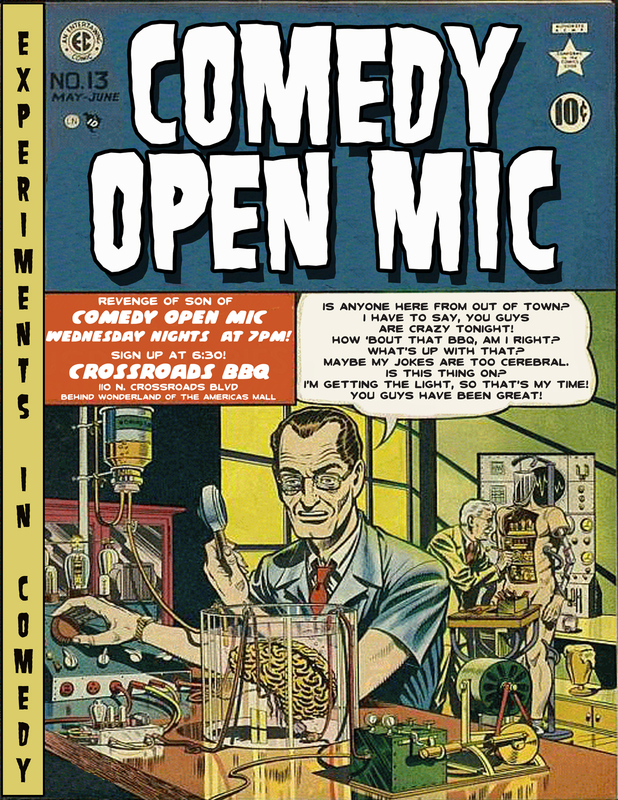 Comedian and ventriloquist David Pitts and his puppet partner Henry Little host Experiments in Comedy, the clean comedy variety show and open mic at Crossroads BBQ in San Antonio, TX, every Wednesday evening from 7:00 pm until 9:00 pm.. Get together at 6:30 pm for our “comedy class” to workshop jokes and talk comedy technique, sign up for the mic starts at 6:30. Crossroads BBQ is located at 110 N. Crossroads Blvd, 78201. Beginners and professionals are welcome to try out material in front of a friendly family audience.